I’ve been playing music for many years, first as a solo performer, then with a band. But recently, to my genuine surprise and utter delight, I have also started to perform with my entire family. That is, my partner David and our three kids Murray, Hazel and Roanna who are all still at school. I didn’t plan it, I never expected it, but somehow it has happened. We were on stage recently and a lovely man came up to chat to us as he was getting himself some CDs at the end of the show. “How did you get your kids to be so into music?”, he asked, “How did you make them want to perform with you?”. He had a young daughter, and he was hoping he could do the same. 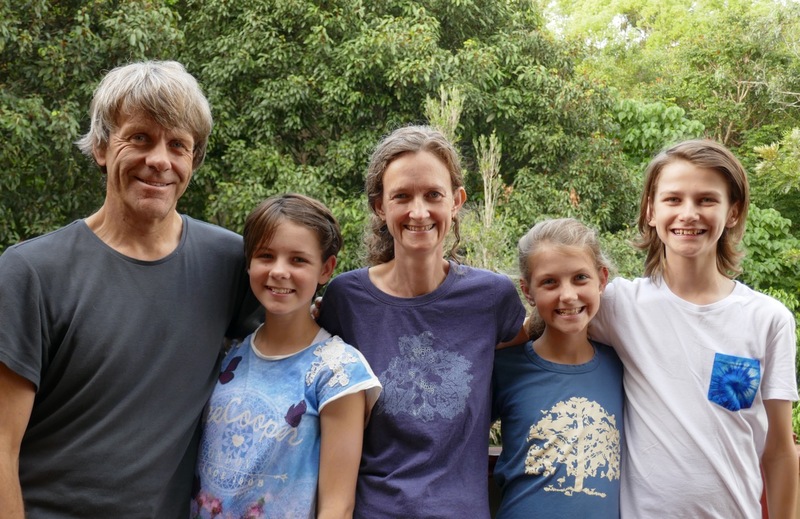 But then I got to thinking – perhaps our family lifestyle has made it possible, even quite likely, for family music to emerge. So in case it is helpful to other families out there, I am going to share how we approached music within the family from when the kids were born until now. In fact even before that, because I was on a folk festival tour while pregnant with Murray which means he was exposed to my songs in the womb. While the kids were young I stopped touring and playing live, but I never stopped playing at home. 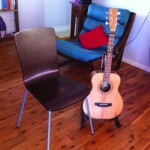 My guitar was always visible in the lounge room of our house, and I would often pick it up to play and sing. The kids would pull themselves up from crawling to standing using my knee – upon which sat a guitar. Their tiny fingers often fiddled with the strings while I was playing, and I let them. I sang to all three kids constantly, just because that is who I am and that is what I do. 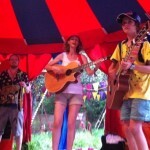 I made up little songs about everything – their favourite animals, monsters, funny stories, bedtime songs. When the kids started school and began to express an interest in learning an instrument, I supported them to do that. And I allowed them to abandon that instrument when they’d had enough. I encouraged, but never forced, them to practice. Still do (and don’t). Music making always happens in the family area of the house. Away from the television (which is never left on in the background). We don’t have a dedicated ‘Music Room’, the whole house is a music room! I often sit and write songs in public. Before she had left primary school Hazel had started writing songs too (in her bedroom with the door shut, but I could still hear them). Everyone is allowed to sing at the dinner table, but not an entire song. Yes, we eat family meals together. Competition for the family music space has become so great that we have had to make up some rules: if you are playing in the lounge room, everyone is allowed to join in, but they have to join in with what you are doing (you can’t ACDC solo over the top of a folk song). We all LOVE singing and playing music. We all LOVE making up harmonies together. And so it is an easy step to do that in public, on a stage. It’s fun, and that’s all there is to it. I don’t mean to boast, but I honestly think I’ve got the biggest wedding ring in the world. It is HUGE, for a wedding ring, though actually quite small for a guitar, which of course is what it actually is. The truth is, I don’t like wearing rings. They irritate my fingers. So when David and I decided to get married, getting a guitar instead seemed like the obvious choice. Apart from the size difference of course. But think about it, as a symbol of love, something that is often cradled in my arms, a guitar is perfect – part of my creative being, my past and my future. Of course, choosing the right one was important. It couldn’t just be any old guitar off the rack. It had to be special. Actually, Doug made a real ring as well, out of wood, for us to use at the wedding ceremony. It has a tiny guitar carved on the top and although it is a bit clumsy to be worn all the time, it worked a treat on the day. And the guitar has worked a treat every day since, just like the marriage. I have been playing musical instruments for as long as I can remember – over 35 years of learning notes, training my fingers to do exactly what I want them to do. Sometimes it has been surprisingly easy, other times frustratingly hard, but for most of that time I’ve had the luxury of being able to trust my body, of knowing that as long as I put the effort in, I would be rewarded. Improvement was guaranteed. That all changed in 2010 when I was diagnosed with multiple sclerosis. All too quickly, the fingers that had run up and down keyboards, trilled flutes and plucked guitar strings started to lose sensation. My voice wasn’t affected, but I didn’t feel much like singing. I was studying flute, enhancing the techniques I had learned as a teenager to further my teaching career. At first it was my legs that were the problem; I had always played standing up and I was finding it too tiring. After sharing the news of my diagnosis with my teacher I arrived at her studio to see a chair helpfully placed in the middle of the room. It may as well have been a wheelchair for the effect it had on me. I found solace in my guitar, but then my fingers started going numb and I was unable to play the subtle finger-picking style that I loved. To be honest some people might not have noticed the difference, but to me it felt like I was playing the guitar with mittens on. Thankfully, amid the musical sadness, I discovered a healing program that offered great hope for recovery. I changed my diet to a plant-based whole food one with seafood, raised my vitamin D levels, started to exercise when I could, and learned to meditate. I regained sensation in my fingers while on holiday in the north of Scotland visiting family. I had borrowed a guitar from a friend and was travelling with it, just in case. 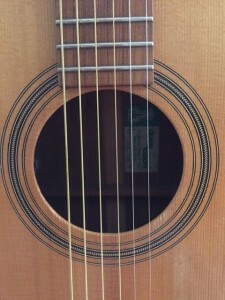 Each day I would play, then put it away in frustration when my fingers struggled to find the right strings. One morning I picked it up to play and it worked, just like it always had. I sung to the family that night, and cried with relief. As I regained health, my inner journey inspired many new songs. I started performing again, trusting my body as I abandoned the chair and stood up on stage to share my musical message with the world. I also started two music groups, and watched my students grow in numbers and flourish. I recorded a new CD featuring both the guitar and flute. People say that I am very patient, and perhaps that has always been one of my strengths, but as a music teacher I have learned a lot from the challenges of the last five years. 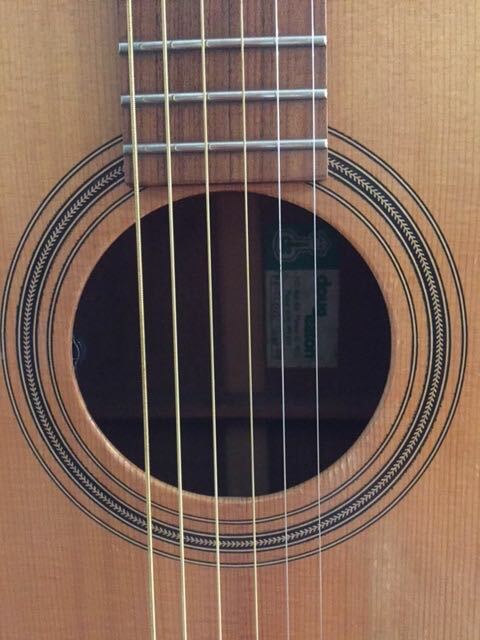 In particular, I have learned to appreciate every small improvement in my students’ playing, particularly the ones who have to work hard at the finger techniques needed to be a musician. And as a performer I am grateful every time I step onto a stage. Grateful for the opportunity to share my music with the world, to do the thing that I love to do. And sometimes, if I’m honest, I’m grateful to have a chair to sit down on at the end of it too. Music competitions – who really wins? 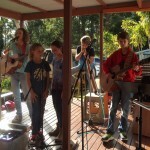 When my son started high school and entered a musical excellence class he said to me, “Mum, I hope there are lots of kids better than me in the class.” I was impressed by his musical confidence and maturity that he should want such a thing – I’m not sure I would have done at his age. But he was right. In order to grow as musicians it is helpful to surround ourselves with role models, people who are ‘better than us’ at some things and can inspire us. A bit of healthy competition never hurt anyone! What about those music competitions where children are lined up to play one after the other, and a ‘judge’ attributes points to their performances and declares one person to be the winner? 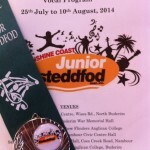 I was never a huge fan of these events, feeling that music is a creative pursuit that should be enjoyed rather than judged, but over the years the Sunshine Coast Junior Eisteddfod has changed my mind. The event itself is incredible and, as many of the adjudicators point out during the fortnight, we are very lucky to have it. First and foremost it is a celebration of music and drama where well over 5000 children cross the stage to sing, play, act, speak, compose and sight-read in solo spots, duos, trios, quartets, small ensembles, concert bands and full orchestras. 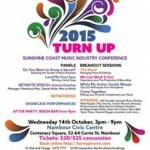 The event provides three key opportunities for every young musician on the coast. Firstly the opportunity to take part, to prepare a piece of music well enough to walk on stage and perform it to a rather important audience. Secondly, the opportunity to hear all the other competitors and be inspired by what others are achieving. And thirdly, the chance to feel part of a very big and very wonderful musical community. The adjudicator’s hand-written comments on each and every performance can be illuminating too! 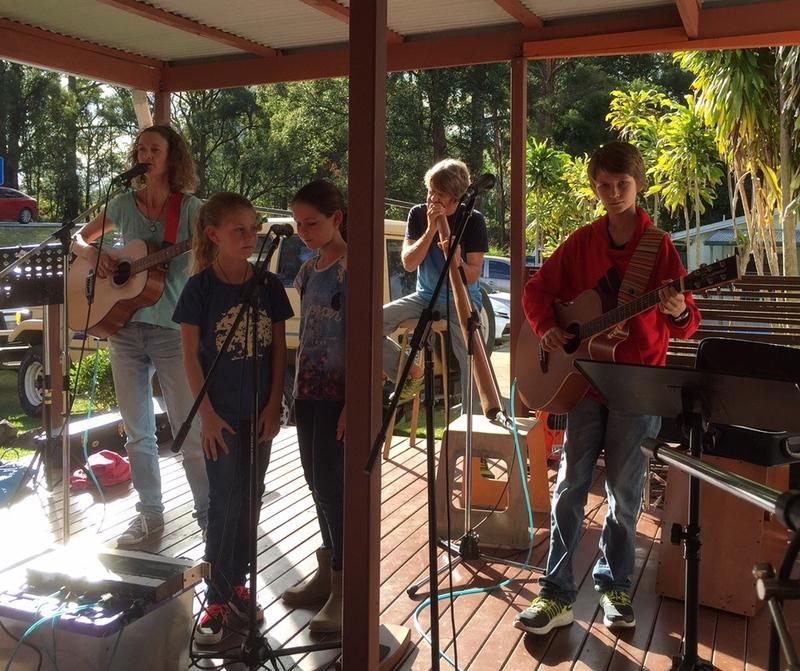 This year I was involved as both a parent and a teacher – sometimes both together – and throughout the fortnight I was in awe of the talent, enthusiasm, creativity and love of music that was displayed by everyone involved. Some of the bands, and individual students, are incredibly advanced. Some are consolidating their learning and others are just starting out. Everyone is supporting each other and enjoying what they do. It takes years to nurture musical greatness, but joy and love for music can be nurtured in just a couple of weeks. 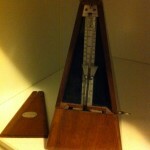 I’m really enjoying using my beautiful old metronome. It’s a lovely piece of work, an antique wooden wind-up job made in France. But that’s not the main reason I love it. You see it came from my dad – my first and greatest musical influence whose piano playing formed the soundtrack to my early childhood. And then, when I started to take an interest in music, whose help and guidance got me through the boring technical bits and onto the pure joy of playing. And all the while there was the metronome, tick-tocking away on top of the piano, with my dad calling out cheerfully, “count, girl, count”, whenever I missed a hemi-demi-semiquaver. Our piano sat right in the middle of the living room, at the top of the stairs. You couldn’t miss it. I used to think that was a sign of its importance in our lives, but now I realise that since it was a Baby Grand, and we had quite a small house, there was actually nowhere else for it to go. Still, having pride of place did afford music a pretty high status within the home. 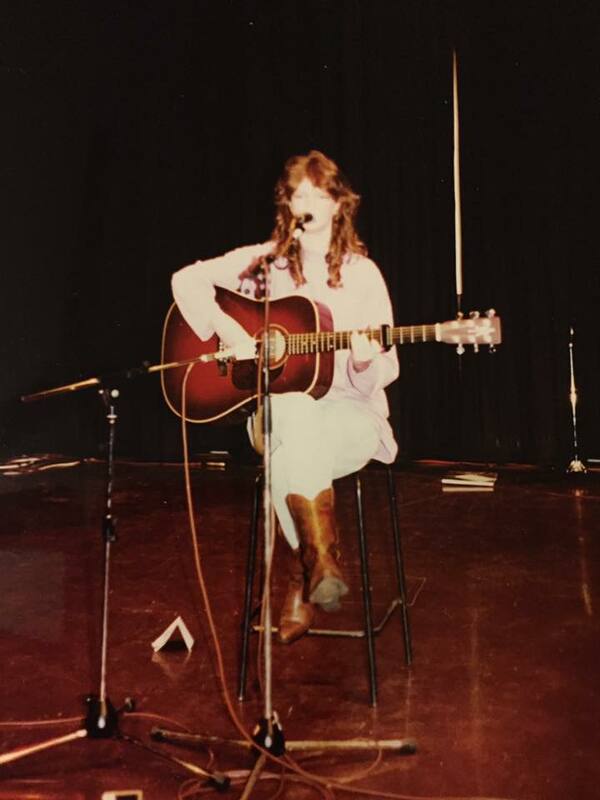 Over the years my choice of instrument changed from piano to flute and then to guitar. The latter are quite portable and could have been played anywhere, but it never occurred to me to hide away in my bedroom to practice, nor did anyone ever ask me to. When I was 15, I vividly remember sitting on the landing (where the stairwell created the best acoustics in the house) and treating everyone to endless renditions of Pink Floyd’s ‘Wish You Were Here’ in full voice. I am now a musician, a music teacher, and the mother of three very musical children. Our home is full of instruments; guitars, trumpets, flutes, didgeridoos, violins. We play anywhere and everywhere in the house, and yes we are allowed to sing at the dinner table, especially if it’s in harmony. Living this way brings me great joy. Home-made music continues to be the soundtrack to my life, and I have my dad to thank for that. And although timing in music is still not my greatest strength, I can honestly say that I am counting, Dad, I am counting.